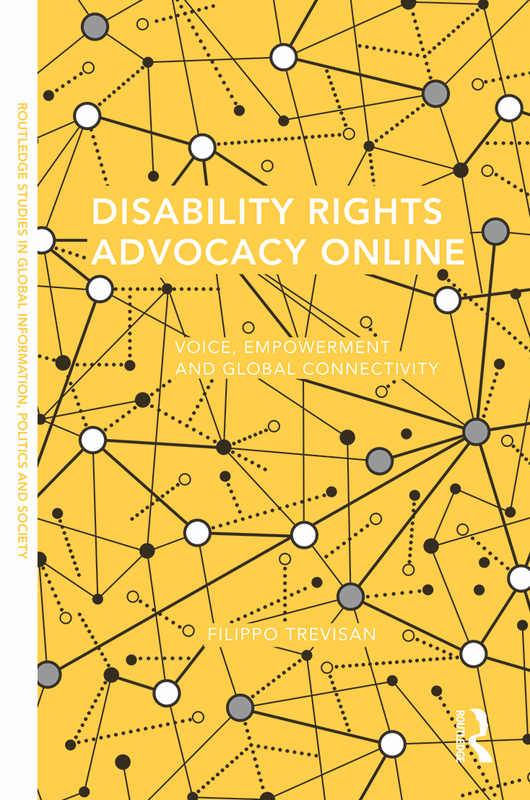 I was delighted to contribute one short article about the digitalization of disability rights advocacy to “Politics, Protest, Emotions: Interdisciplinary Perspectives.” This book, which is edited by Paul Reilly (University of Sheffield), Anastasia Veneti (Bournemouth University) and Dimitrinka Atanasova (Queen Mary, University of London), was published earlier this week and includes contributions by 37 academics around the globe who study the nexus between emotions, grassroots activism, and information technology. Students of political science and strategic communication who are interested in grassroots mobilization dynamics, online advocacy and organizing will find the case studies reviewed in this book to be both accessible and highly relevant to their work. The book can be accessed freely here and downloaded as a in pdf format here. My article (#32) can be found here. This entry was tagged blogs, disability, e-advocacy, publications, UK, USA. Bookmark the permalink.